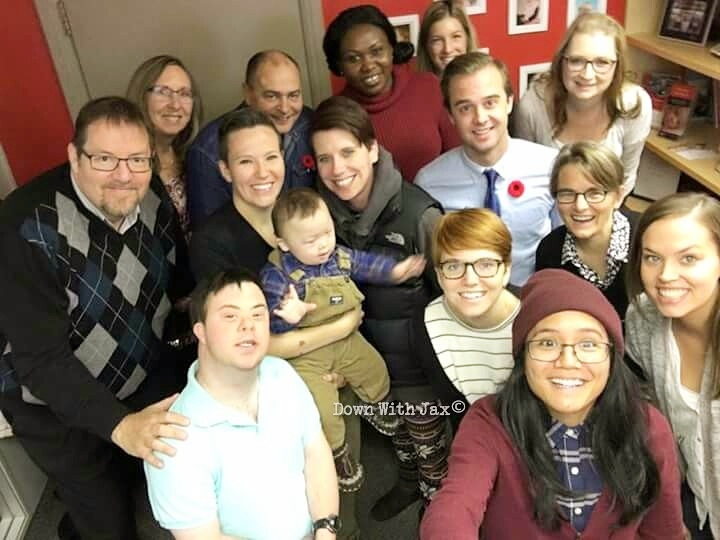 I am SO VERY excited to finally let you all in on the BIG project we have going on for Canadian Down Syndrome Awareness week! This year we decided that we wanted to do something BIG for Down Syndrome Awareness Week. We also want to make a BIG difference in the Down syndrome community. 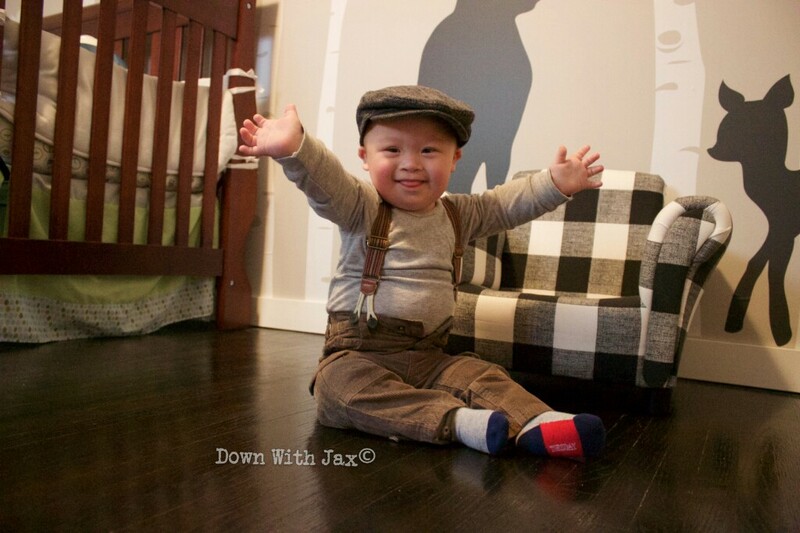 Our major goal as a family is to bring awareness, understanding, acceptance and education about Down syndrome. Alex and I have teamed up with Boylan Imaging and our friend Stephen Underhay who just so happens to be an amazing nature photographer to bring to you a very unique fundraising project. Throughout the week of November 1-7 you will be able to purchase stunning prints of our breathtaking Canadian nature taken by Stephen! You will be able to choose from 5 very different but equally as beautiful photographs of our breathtaking nature that we have here in our country. Each photograph has strong elements of blue and yellow which is the Down syndrome colours. Each print is available in 3 sizes. Boylan Imaging here in Medicine Hat has VERY VERY generously helped with our project and printing of the photographs. It is my absolute pleasure to tell you that 100% OF PROCEEDS will be going directly to the Canadian Down Syndrome Society! You will only be able to purchase your print for a very limited time! November 7 will be the last day of this fundraiser so head on over to Stephen Underhay Photography and grab your prints NOW! A HUGE Thank you to Stephen and Boylan Imaging for seeing our vision and helping us reach our goals of bringing awareness and education about Down syndrome. A couple of weeks ago the 3 of us were chilling on the couch one afternoon. Jaxson was under the weather (and he still is, pretty sure he’s battling RSV yet again) so we were curled up to watch a Disney movie. Jaxson lost interest in the movie and had a sudden burst of energy. He started throwing himself onto Alex and giggling his sweet little face off. Wrestling is probably his favourite activity at the moment, and he could spend an entire hour on the bed throwing himself at you without losing any interest. Then he saw me beside alex and it was on. He was going to figure out a way to come and wrestle me….. Alex was roadblocking him from crawling over her lap, so he had to figure out a different way. He started pushing alex forward quite forcefully. She would help him out a bit and lean forward. He saw a new route! within seconds he was diving behind her back, making more room, giggling and panting like a little puppy dog. He was working so hard, pulling and kicking his legs. It took him a little bit, but he got through! He never gave up and he never slowed down. The look of pure satisfaction on his face when he made it close enough to “get me”. Priceless. That being said he has become super quick, and turning your eye from him means he will crawl across the living room and kitchen to dump the dogs water dish in 5 second flat! Life is more hectic, crazy and fun with a crawling baby. We couldn’t be more proud of his accomplishments and hard work!! Also, HAPPY DOWN SYNDROME AWARENESS MONTH!!! 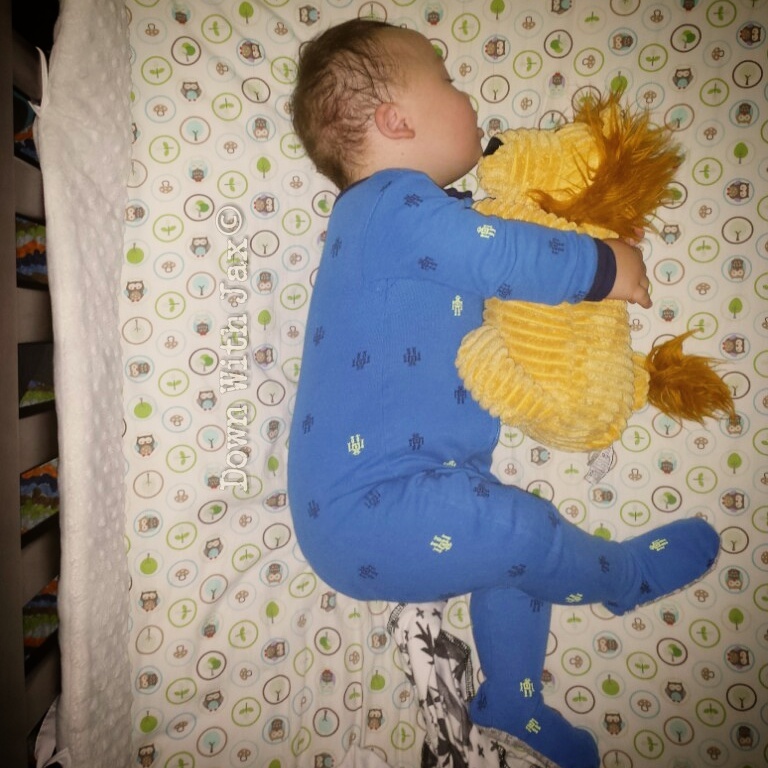 Jaxson was an AMAZING sleeper as a new born. We used to have to wake him up to feed, and he would stay soundly asleep all night long. We were very lucky!! 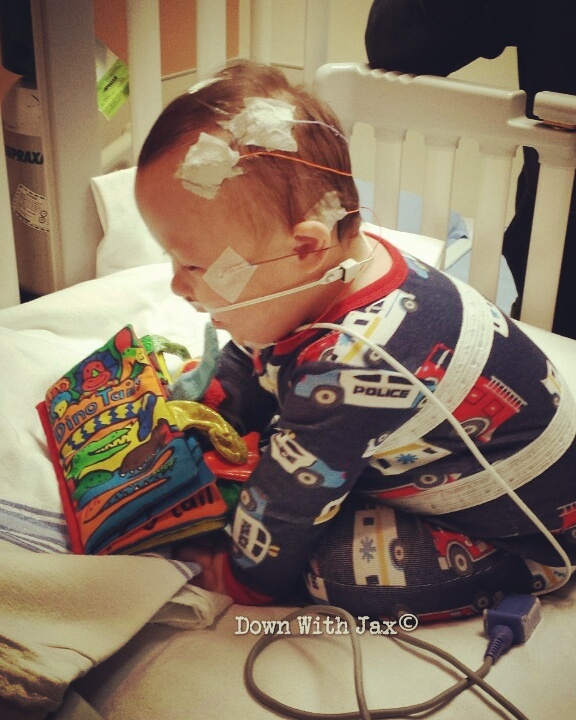 His amazing sleep habits lasted till he was 7 months old, then it happened….. Jax got RSV and was pretty sick for a month. Since then he doesn’t sleep. Tosses and turns what seems like all night long. At first we blamed his horrible sleeping on the 7 back to back ear infections that followed the RSV. A very logical explanation to bad sleep. unfortunately his horrible sleeps continued on even after we got the ear infections under control. Enter teething. Of course teething starts and clearly thats why he wasn’t sleeping. right? We brought up our concerns with the pediatric ENT in the spring. We asked for a referral for a sleep study, and she totally agreed with us. We couldn’t blame bad sleeping on ear infections and teething forever. 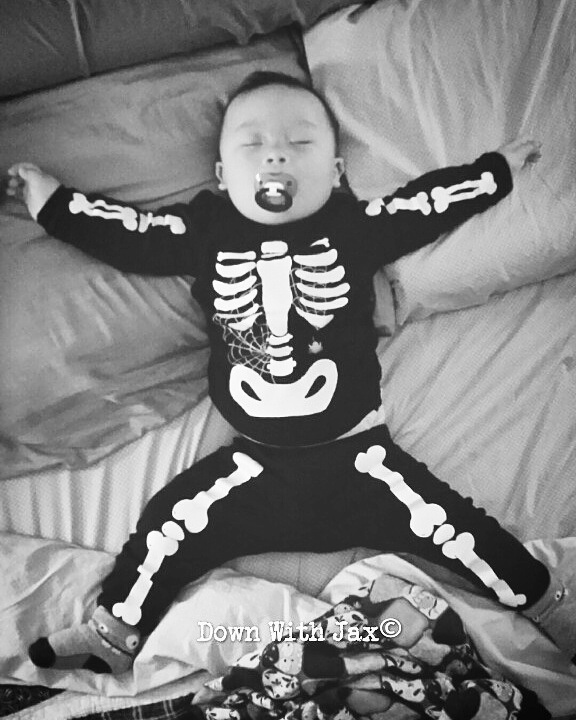 Especially since kids with Down syndrome have a much higher rate of sleep apnea and sleep issues. In Canada it is standard practice for children with Ds to have a sleep study done within their first few years of life regardless of reported sleeping issues. Around mid summer we couldn’t take it anymore, we stared doing something we swore we would never do. Co-sleep. It was the only way we could all get some rest (especially Alex who is on ‘night duty’ during my work weeks). Getting up 5-10 times a night was getting to be too much. Finally we received a call with our sleep study date and it couldn’t come soon enough! It seemed like every night was worse than the night before. 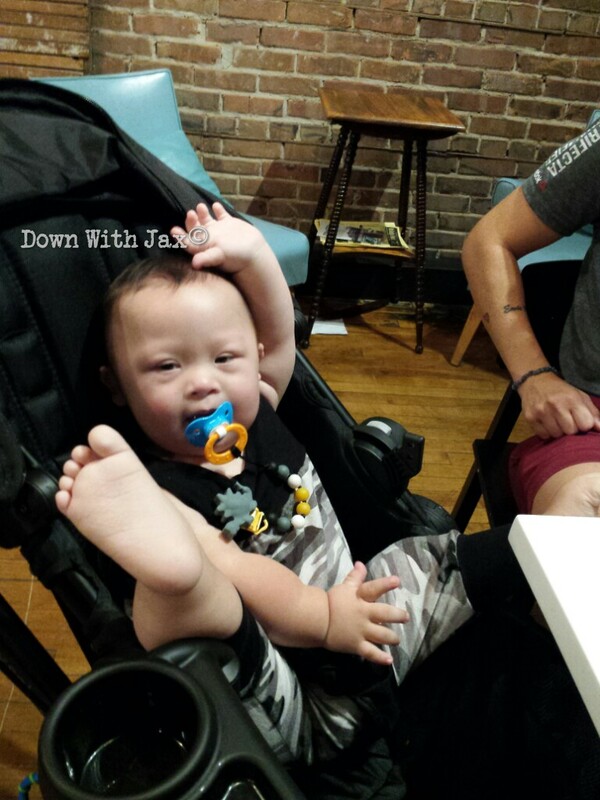 Jax tosses, turns and sits up over and over and over again. Poor guy wakes up exhausted and barely makes it an hour in the morning before needing his first nap. The dreaded sleep study finally arrived. I don’t know how it happened but somehow I was nominated as the parent that was going to stay with him for the night. I knew it was going to be a long night but it was far worse than I had imagined! We arrived at 8pm and were sent upstairs to the sleep clinic. By the time the tech had Jax wired and hooked up it was pushing 9:30, WAY past his bedtime. I don’t understand why they don’t adhere to a childs normal sleep routine if they want to properly study it. But hey, I’m not the expert. The night was way way way longer than any night I have ever experienced on a nightshift working EMS. Jaxson was all over the place. At one point he woke up screaming (VERY unlike him) and it took me half an hour to calm him down. Between a restless baby and the thought of someone watching me sleep behind the camera I think I may have got an hour of sleep all night long. 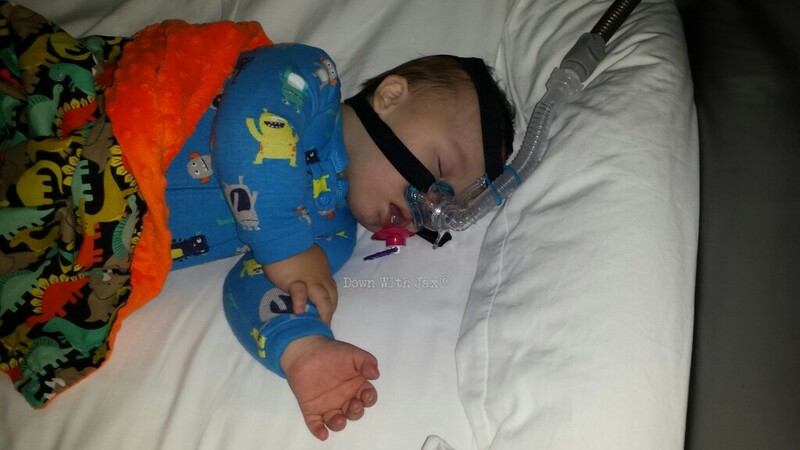 At 4:30am the tech came in a put CPAP on Jaxson as a ‘trial’ and thats when I knew. Of course she had no answers for me when I asked her, but she didn’t have to tell me anything. Jaxson was out cold from that point on until 6am when they came in, turn on the lights and kick you out (yeah, real fun). Thank goodness we didn’t have to wait long at all for answers because we had an appointment with the sleep doc the next day. 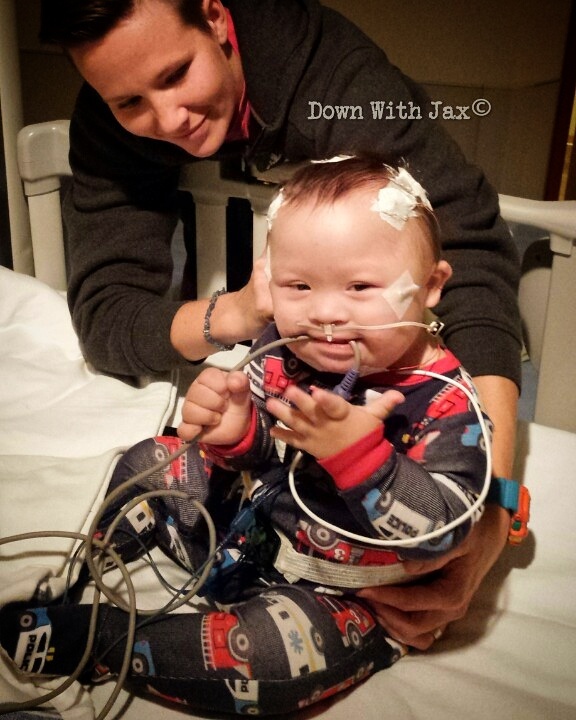 The results showed that Jaxson has severe sleep apnea. Waking on average 20 times per hour, no wonder why he is bagged during the day! Jaxson doesn’t quit breathing for long periods of time (which we already knew that). His apnea is obstructive apnea. It’s a combination of probably slightly enlarged tonsils/adenoids, small airway, and low muscle tone (causing collapse of his airway when completely relaxed). All of these things combined make it hard for him to get proper air exchange when he goes into a deep sleep. His body works harder to take deep breaths and he wakes up. 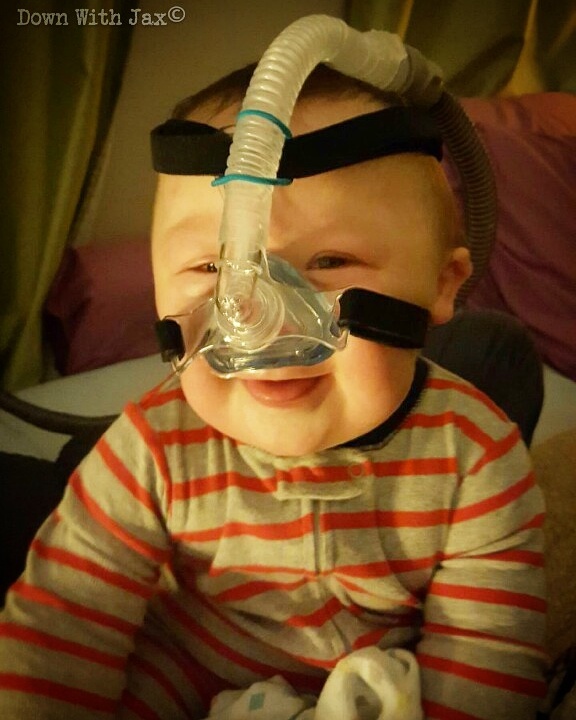 The solution: Jaxson will be using CPAP to sleep. Something new to add to our normal. For those of you that don’t know what CPAP is, it stands for Continuous Positive Airway Pressure. 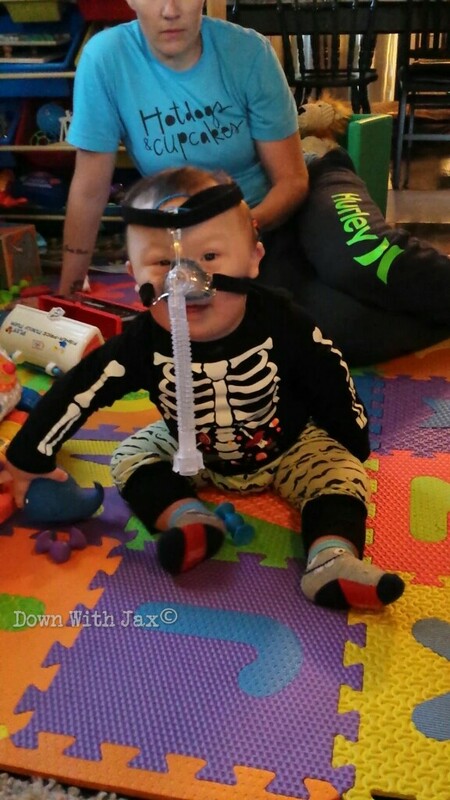 Meaning that Jaxson will wear a teeny tiny mask over his nose that will be constantly blowing air into his nose to keep his airways splinted open (by the air flow) to allow for proper air exchange. Fingers cross that we get set up with his CPAP machine this week! I feel terrible putting him to bed now that we have a diagnosis and no treatment yet. Thank goodness we don’t have to wait for long. Now fingers crossed that we won’t have to pay out of pocket for this huge expense! It will be interesting to see how Jaxson handles the mask and his new sleeping routine. We are super excited at the thought of sleep. 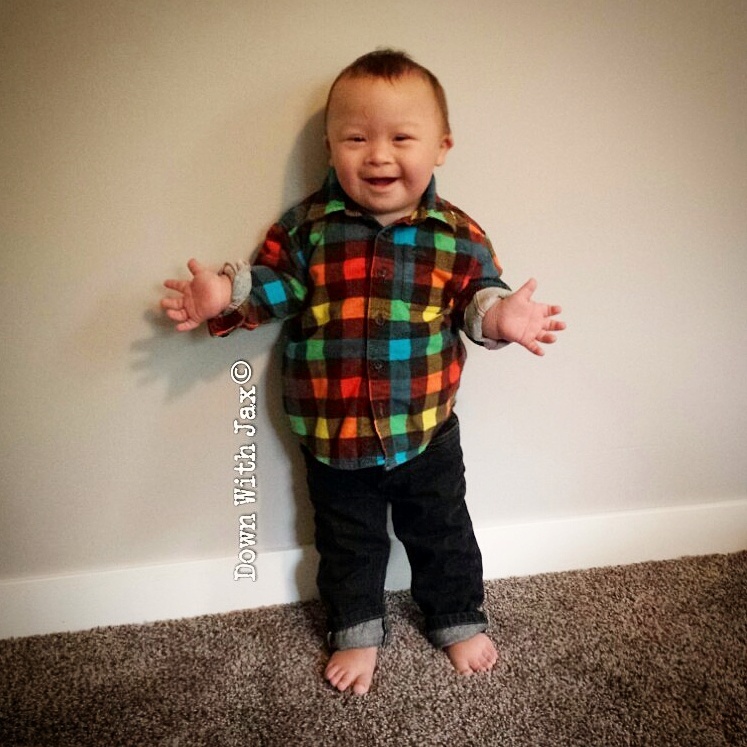 The biggest thing of all is we can’t wait to see what a constant, restful nights sleep will do for Jaxson and his development. Stay tuned for the update!! What is normal anyways? Normal is subjective. Whatever you fill your own little world with is your normal or typical, which is probably very abnormal and weird to the next person. I’m sure it comes as no surprise that part of our normal is Down syndrome. Since Down syndrome is A PART of our first and so far our only child, it is what we know as normal. Much of our little world is filled with Ds. Social media feeds flooded with Ds blogs, articles and pictures of my friends insanely cute kiddos with their almond eyes, and giant grins. Weekly therapy. Delayed development. Low muscle tone. Ear tubes. Sign language. Sleep studies. Surgery. Doctors appointments. ‘Therapy’ toys. HUGE celebrations for seemingly little hit milestones. The list goes on and on. 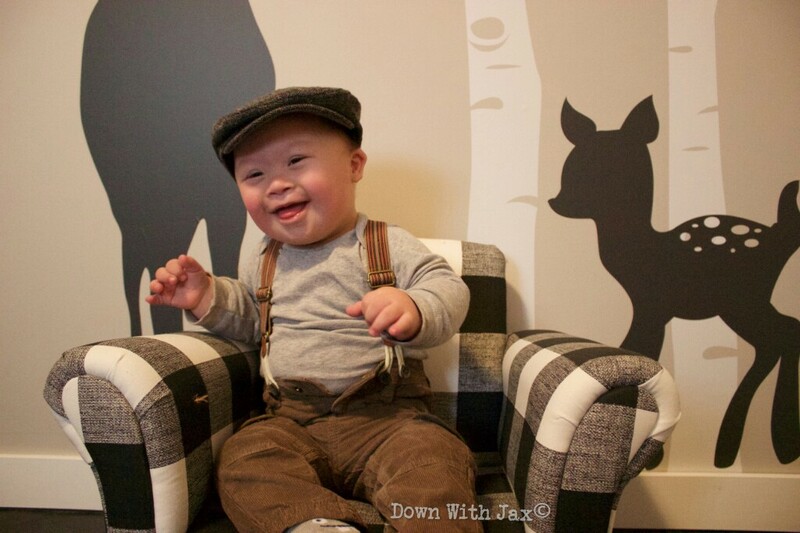 Our little world revolves around Down syndrome in some way or another. It’s no wonder that Down syndrome is OUR normal! I have absolutely no idea what it’s like to have a child that just does things when it’s time. To one day have an immobile infant and literally the next day that baby just magically figured out how to get on all 4’s and do a proper 4 point crawl. Thats abnormal. Most of you have absolutely no idea what it’s like to have a child that works so hard to learn things. A child that you have to run from one appointment to the next to ensure their development and health is on track. That’s not your normal, but it’s ours. 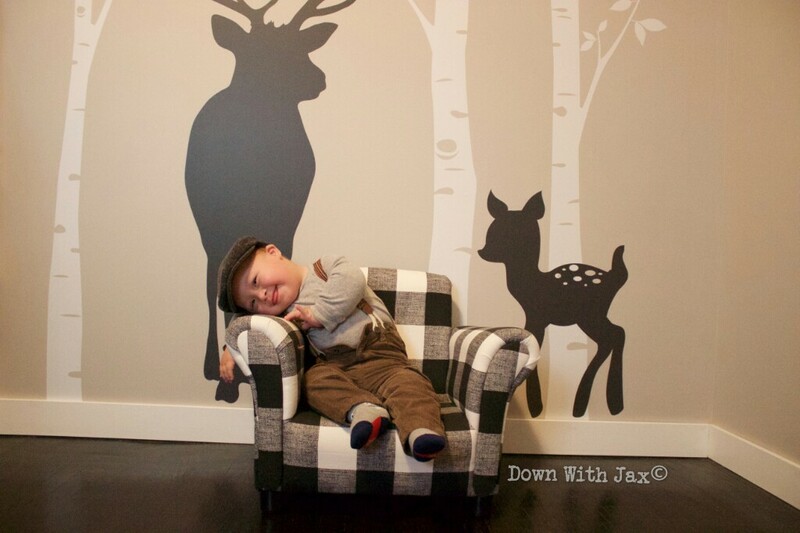 Down syndrome is so normal to us that once I even forgot Jaxson has Down syndrome! True story! 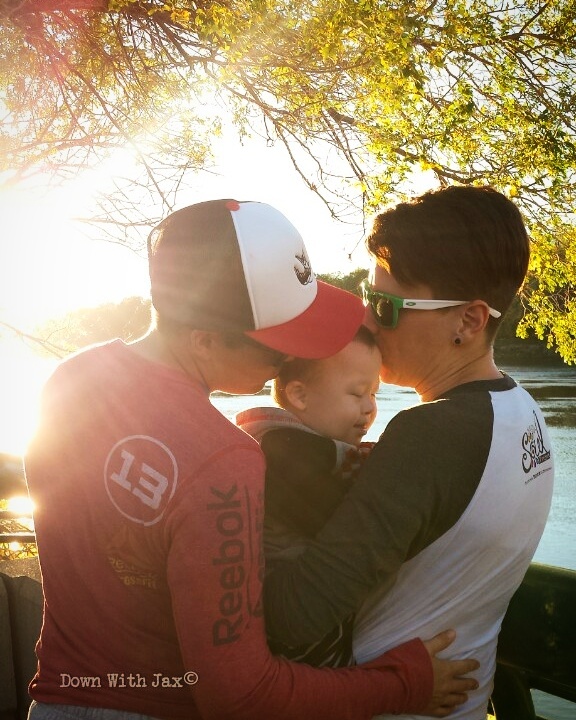 Earlier this summer I was holding my friends little guy who is 6 months younger than Jax. I couldn’t figure out why he was so damn stiff. To me it felt like I was holding a 2×4 and I couldn’t figure out why this kid wouldn’t relax! A few weeks later I was holding another friends little guy who is only a few months old. Again I couldn’t help but wonder what was wrong with him. This baby too was stiff as a board. I thought to myself as I was rocking with him “man, chill out buddy. Relax……..”. It wasn’t until a few days later that it clicked for me. 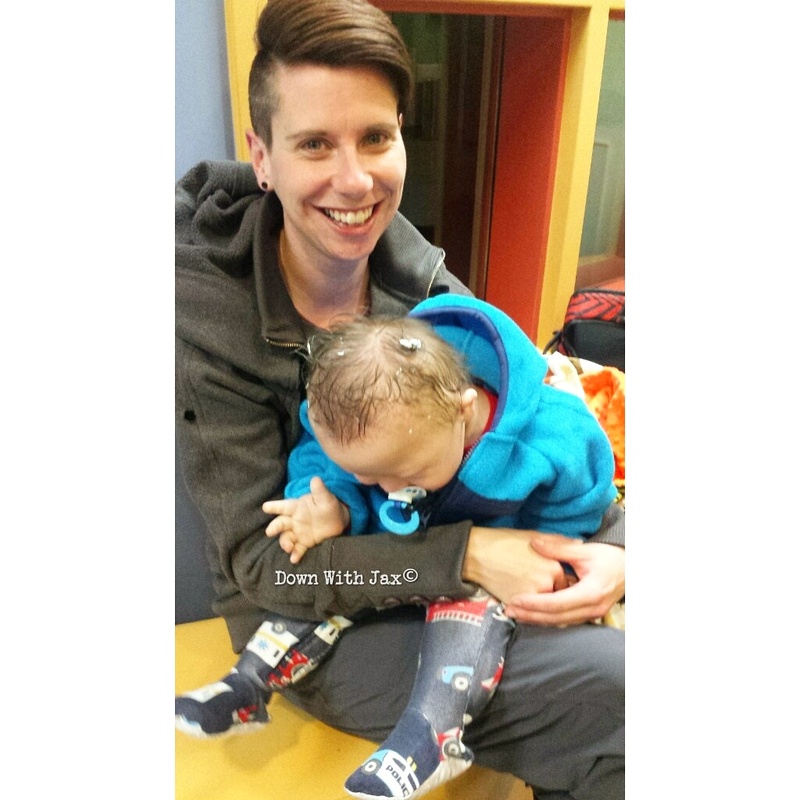 Those babies are ‘normal’ (or typical as we like to say in the disability community)!! Seriously, I felt so stupid that it took literally a month to figure it out. 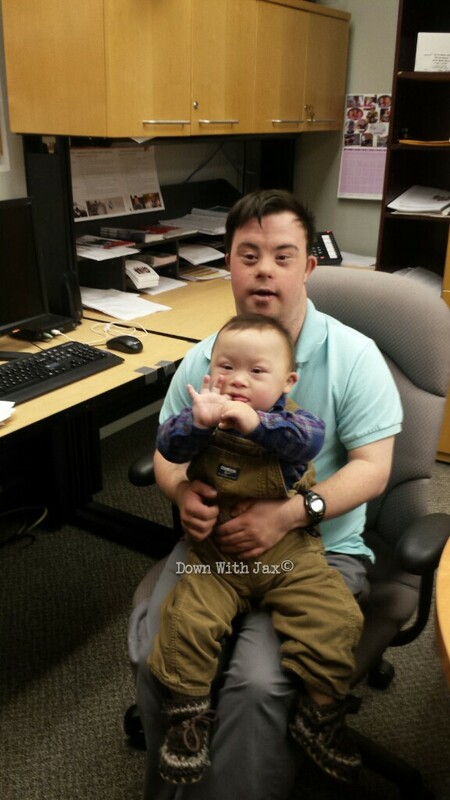 Jaxson has Down syndrome! 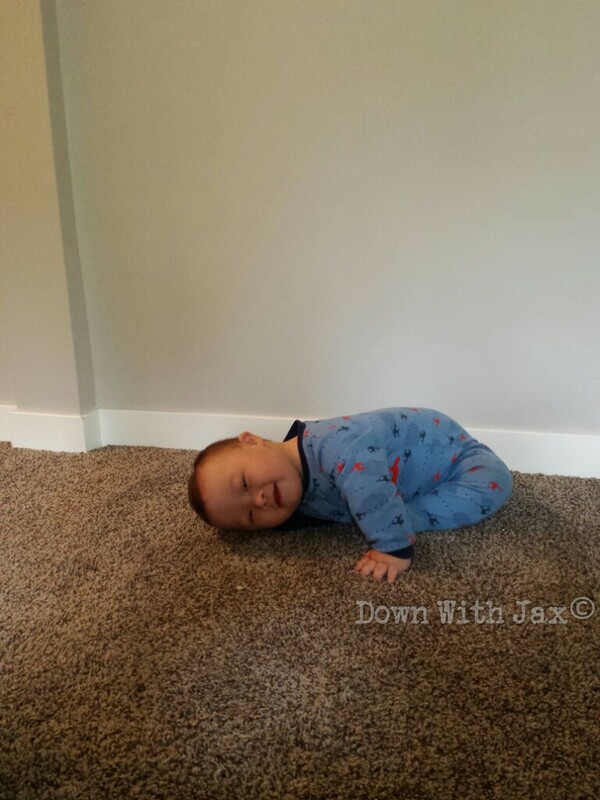 Jaxson has low muscle tone which means he’s ‘floppy’. 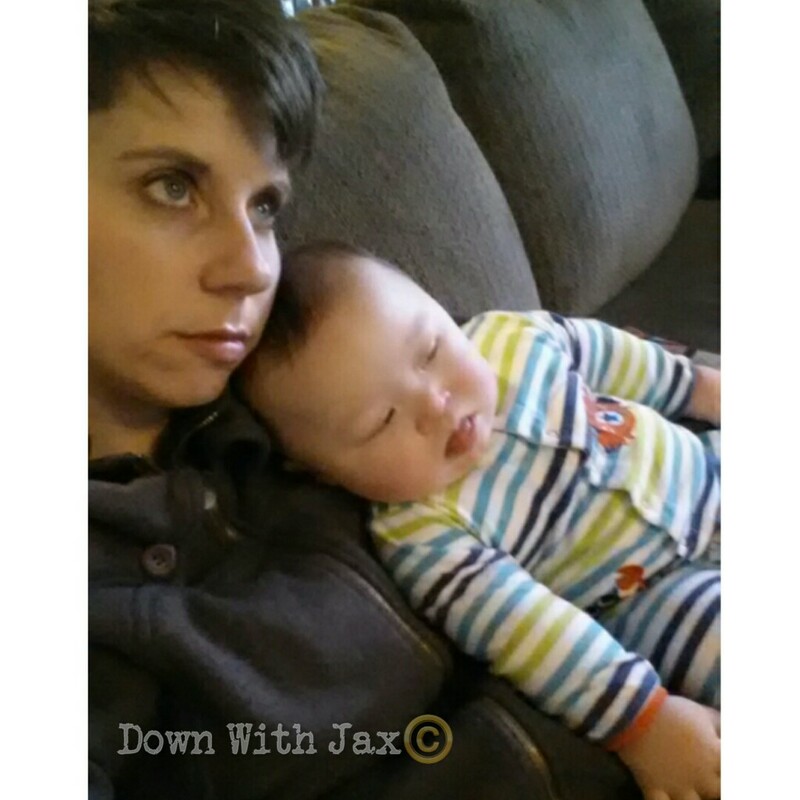 Holding Jaxson is like holding a 30lb snuggle bug. He melts right into you. So relaxed, so ‘floppy’ and so snuggly (the best. thing. ever!). This is why those ‘typical’ babies were not normal to me. 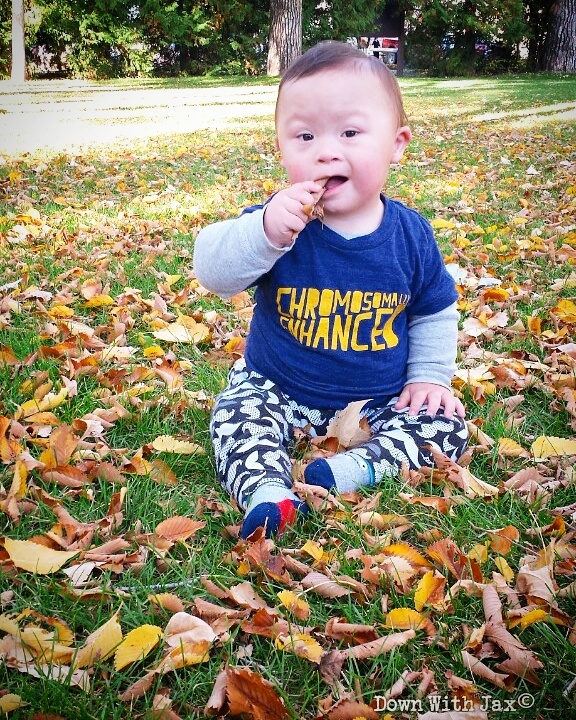 Down syndrome is our normal and I wouldn’t want i it any other way!